To calculate the future value of a monthly investment, enter the beginning balance, the monthly dollar amount you plan to deposit, the interest rate you expect to earn, and the number of years you expect to continue making monthly deposits, then click the "Calculate" button. 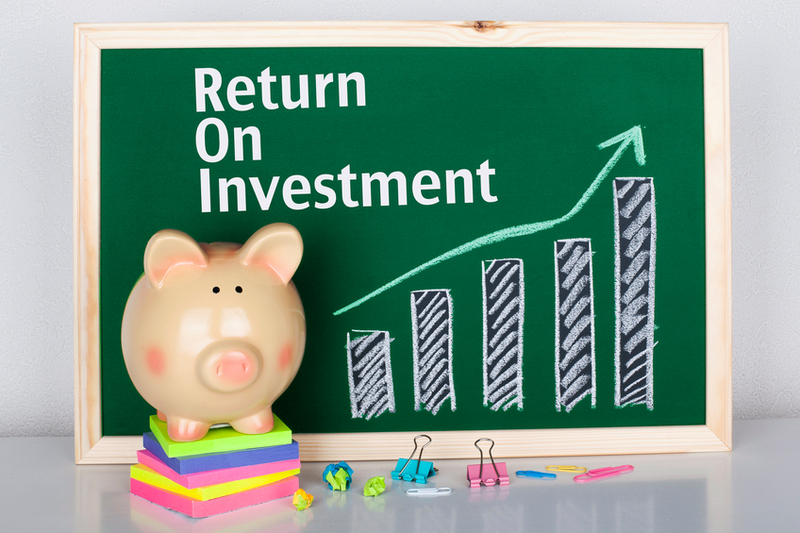 For those who have invested part of their income into an investment of some form, whether it be certificate of deposit, college funding account, a high interest savings account or retirement savings account, the interest yield on this portion of money makes all the difference to the future health of your investment holdings. Investments are not all created equal. Their net gain and how they fit in to your complete financial portfolio all depend on a variety of influential factors ranging from when the interest is compounded and the type of investment to the number of years your money sits in the account. The way your interest is compounded determines how much gain you will make from your investment in the long term. Options for this variable that are available to general investors typically include daily, weekly, monthly, quarterly, or annually compounded interest. As a rule, if all else stays constant, the more frequently your interest is compounded the more your savings will increase. Essentially, the earlier interest is compounded or added to your lump sum that you have invested, the sooner it can began earning interest of its own and the more net gains you will see in your account. While the annual percentage rate (APR) is the number to know when it comes to loans, the annual percentage yield (APY) is the one you'll want to keep an eye on when it comes to your investment. The APY applied to the original deposit on your investment is what earns you money, and the rate takes into account how frequently your interest is compounded to produce your effective APY. When shopping around the investor's market for future opportunities, comparing APYs will allow you to search for the financial institution who will offer you the highest effective yield on your deposit. As you keep making regular deposits into this savings investment, your total ending figure to withdraw will be increasing in two ways: from the additional deposits you are making on it each month, and from the interest yield you will be receiving from your original sum plus these deposits. Though this complex incline from original deposit to final withdrawal figure depending on the investment variables may seem complicated, it is quite a simple progression to watch on paper. Using this calculator, you can view your theoretical investment scenario through the lenses of daily, monthly, quarterly and annually compounded interest on an initial sum as well as a regular contribution to the account. Comparing these figures will allow you to make a savvy decision on whether to choose an investment that will compound frequently or infrequently, and just how much this will affect your net gain. Computing the future value of a monthly investment according to various compounding levels is an excellent way to go into an investment anticipating exactly what the results will be. The prior knowledge of how much a savings account like this will affect your entire portfolio can help you plan and tweak additional investments and gain a big picture perspective on what purpose your money is serving at any given time. The above calculator allows adjustments for the impacts of inflation on the purchasing power of money, though it does not account for personal income taxes paid on earned interest income. In many cases traditional conservative cash-equivalent investments do not keep up very well with inflation, especially after income taxes are paid. For instance, if a person is taxed at a 25% rate while both inflation & interest are both around 2% a year then after a decade an initial $10,000 investment would be valued at just under $15,000 in nominal terms, but the spending power would remain under $10,000. What's more, if the investor paid a 25% tax rate on the $5,000 of interest then their savings would be closer to $13,700 & the spending power would be slightly above $9,000 in present value. In most years the total return on the domestic stock market investment is significantly higher (~ 10%) than interest earned on savings accounts (~ 2%), though the stock market has large draw-downs periodically, which typically occur near the beginning of a recession, which tends to hit people hard when they are most vulnerable if they need access to the money they invested due to losing their job or other unforeseen circumstances. For that reasons, it can make sense to have an emergency fund set aside which you can tap without drawing down your investment account. Many over-levered people tend to aggressively invest in the stock market near the tops & pull out near the bottoms, which minimizes their gains. "And if they insist on trying to time their participation in equities, they should try to be fearful when others are greedy and greedy only when others are fearful"